HEPA Filter Test Rigs features digital display of pressure drop measurement across filter and come with duct fitted with inspection window. 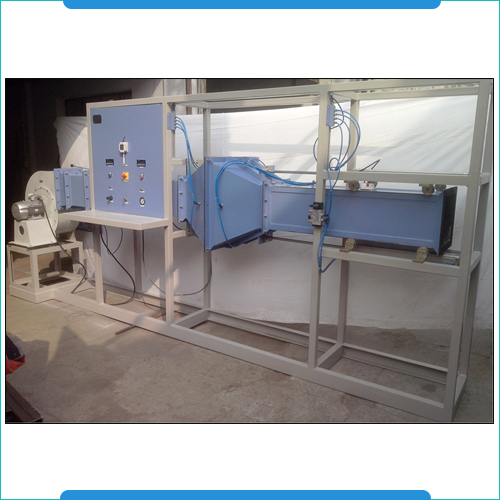 With inlet for DOP smoke particle or test aerosol, these HEPA Filter Test Rigs come with blower capacity comprising 2000cfm 200mm of WC, stainless steel fabricated duct, damper for opening closing of air flow, flow adjustment provision though VF drive and blower motor of 5 HP, 2880 rpm, 60 hz, 3Ph. With operational power required of 220V, 3Ph, 60 Hz, 5000 watts, some of the other standard specifications of these test rigs include the centralized control panel, clean filter bank without filters, tapping fitted with the solenoid valve for selecting upstream/downstream count and upstream and downstream sample to the particle counter.